Any Video Converter Ultimate -- Convert Video and DVD movies to MP4, AVI, MKV, etc. "Your products are the most amazing coding I have ever see or used!!!! !Absolute perfection. Tight, concise. Flawless execution! The most pleasant experience for me in a long time. It's so incredibly good." Any Video Converter Ultimate is an all-rounded video converter, DVD ripper, DVD maker, screen video capture, online video downloader & converter, video editor, etc. As a professional video converter & DVD ripper, it provides handy and useful solution to free convert video & rip DVD movies to all popular video and audio formats, including AVI, WMV, MP4, FLV, SWF, MKV, 3GP, 3G2, MP3, FLAC, HTML5, etc. for enjoyment on all your portable devices, mobile phones, game consoles, MP4/MP3 players, etc. It can also turn all your favorite vacation, wedding, family movies and other movies collection into the fantastic DVD. Any Video Converter Ultimate allows you to convert video and DVDs to many popular video and audio formats, so you can get HD lossless video and audio enjoyment on a number of portable media players and smart phones, like Apple TV, iPod, iPad, iPhone 8, Nexus 9, Kindle Fire HD, Samsung Note 9, Android tablets, Samsung Galaxy S10, Zune, PSP, PS3, etc. Any Video Converter Ultimate allows you to burn video to DVD/AVCHD DVD with steps. Create DVD, you can choose DVD video NTSC Movie or DVD video PAL Movie according to your TV system or AVCHD 720P Movie(*.m2ts) or AVCHD DVD 1080P Movie(*.m2ts) according to your DVD Player. 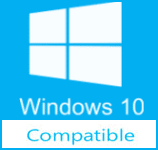 Multiple playable DVD formats are supported, such as CD-R, CD-RW, DVD-RAM, DVD+R, DVD+RW, DVD+R Dual Layer, DVD-R, DVD-RW, DVD-R Dual Layer, random access writes. You can easily download and convert YouTube video and other online videos from videos sharing websites. Just copy and paste the URL links to the program, online videos will be downloaded in lightning speed. The program also can convert youtube videos to MP4, AVI, WMV, MPEG, 3GP, etc. for enjoyment on iPod, iPad, iPhone 8, Nexus 9, Apple TV, Kindle Fire HD, Samsung Note 9, Android tablets, Samsung Galaxy S10, etc. Easily capture streaming videos from NetFlix, Hulu, Metacafe, Blockbuster, iTunes, Vimeo, etc. It is also available to record anything on the screen including media player windows, protected iTunes video, rental protected DVDs, desktop activities even the full screen. You can convert the screen captured video to MP4, AVI, 3GP, WMV, FLV for uploading to video sharing sites or for playback on all your mobile devices. Any Video Converter Ultimate can easily extract audio from all videos and DVD movies and save as MP3, AAC, WMA, M4A, WAV, FLAC, and OGG audio files for your mp3 players, iPod, iPhone 8, iPad, PSP, Nexus 9, Kindle Fire HD, Samsung Note 9, etc. Served as a high-definition video converter, Any Video Converter Ultimate allows you to convert AVCHD (*.M2TS, *.MTS, *.TOD), HD MKV, HD H.264/MPEG-4 AVC, HD MPEG-2, HD MPEG Transport Stream (*.TS, *.TP, *.M2T), etc. to standard definition video formats. It can easily encode and create the HTML5 video online. With this HTML5 Video Converter, you can perfectly convert HTML5 videos for a wide range of portable media players. Any Video Converter Ultimate possess fantastic editing functions like Add effects, Trim, Crop, Merge, Rotate, Take Snapshot, etc. So you can free alter video effect by modifying the video Contrast, Brightness, Saturation and merge multiple videos into one. Its crop function makes it possible to adjust the video size for getting the perfect visual impact. 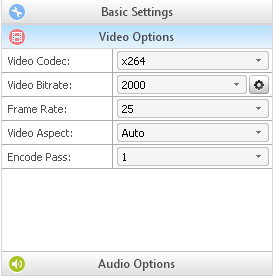 Accompanied with the friendly user-interface, Any Video Converter Ultimate can bring you brand-new visual perception. Unique panel management function can manage your output videos by profiles or group with file calculator. You will get super fast conversion speed with its unique CUDA Technology Acceleration technology and full multi-core support. How to Convert DVD/Videos with Any Video Converter Ultimate? Step 1. Download and install Any Video Converter Ultimate. Click the menu File > Set Output Folder and select a location on your HDD for the output video file. If you don’t do this step, the default output folder would be in C:\Documents and Settings\sssss\My Documents\Any Video Converter Ultimate.